Founded in 2009, El Paseo was built as part of a project based on the 606 that was intended to connect Pilsen and Little Village in the same manner. 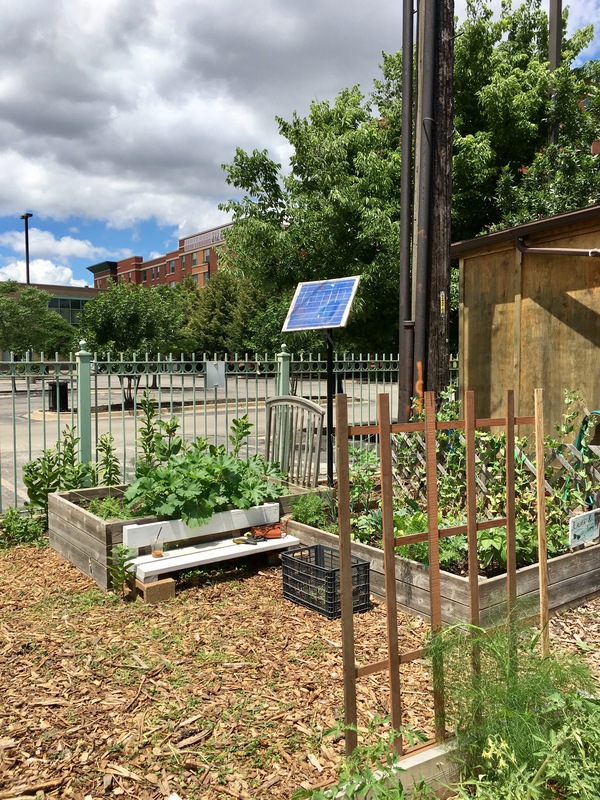 This site exemplifies ways in which Mexican-American cultural identity is preserved, continued, and negotiated in a garden with multigenerational uses, and the garden strives to promote physical health by providing access to fresh produce to low-income residents. The directors, a young second-generation Mexican-American couple, aspire to develop the garden into an urban farm with a higher capacity to increase food access in the community. 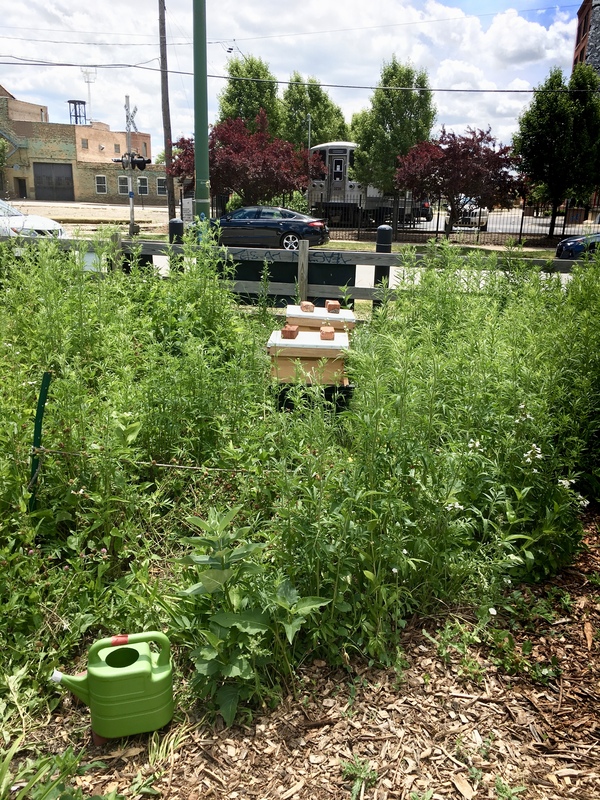 This garden rents 22 personal bed to serve the residents of the neighboring affordable housing and senior living complex under the Resurrection Project garden located in Pilsen and has an additional 15 community/shared beds that are open for community members to use. 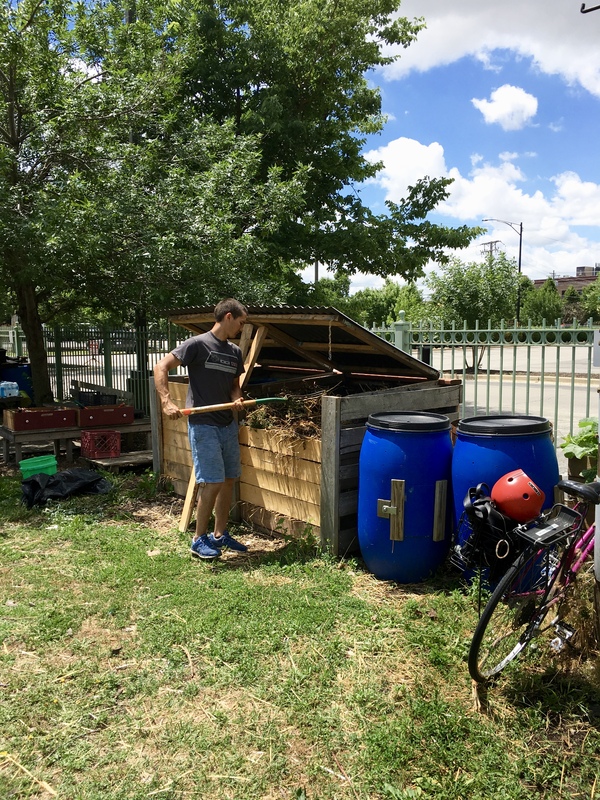 We quickly found there to be a fairly large demographic and social difference between those who have personal beds and those who garden in the collective beds. From our own observations, we noticed that those who work in the shared beds are generally younger and white, whereas those who have private beds tend to be older and Latinx. Our observations were confirmed in an interview we conducted with a man who gardens in the collective beds. 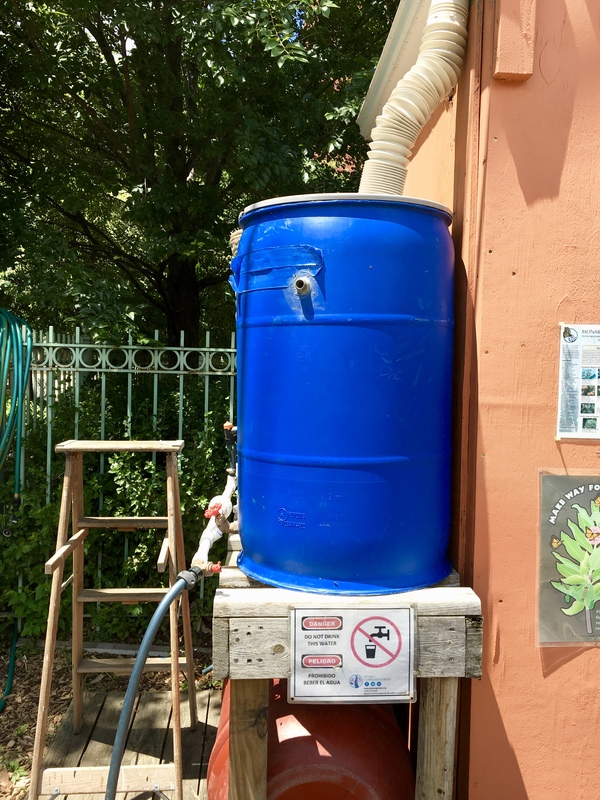 He told us that the people who work in the shared beds communicate fairly actively with one another through a group chat so they can keep tabs on what has been watered and harvested and who has been contributing their fair share of work. He said that run-ins with people who have personal beds is sporadic as they garden more on their own time. 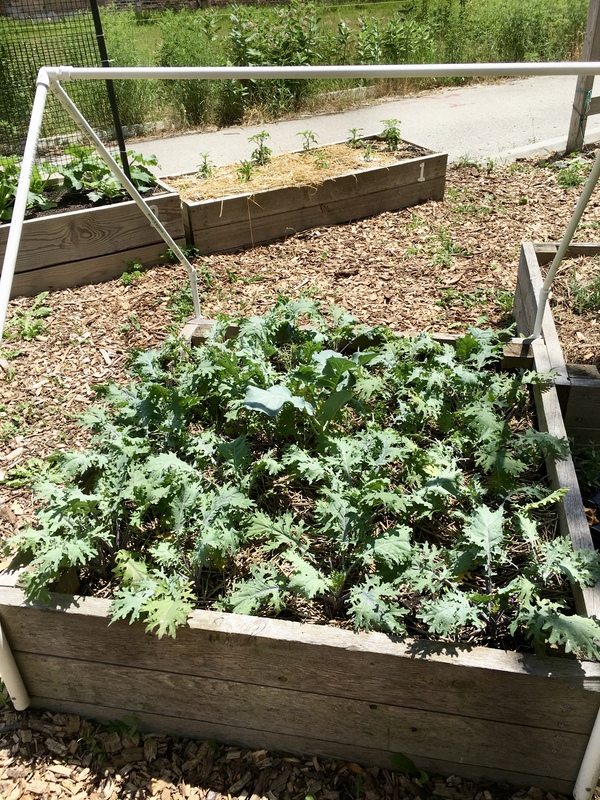 As a result, there appears to be a slight division between the two groups — there is clearly a sense of community among those who garden in the collective beds, but the relationship between those who have personal beds is not as strong. Many gardeners utilize the space to grow medicinal herbs for remedies that are passed along generations. El Paseo is unique in its vibrant social life that facilitates intergenerational exchange, as well as through the exchange of farming techniques of older Mexican immigrants and the urban gardening techniques of the younger Mexican-Americans. 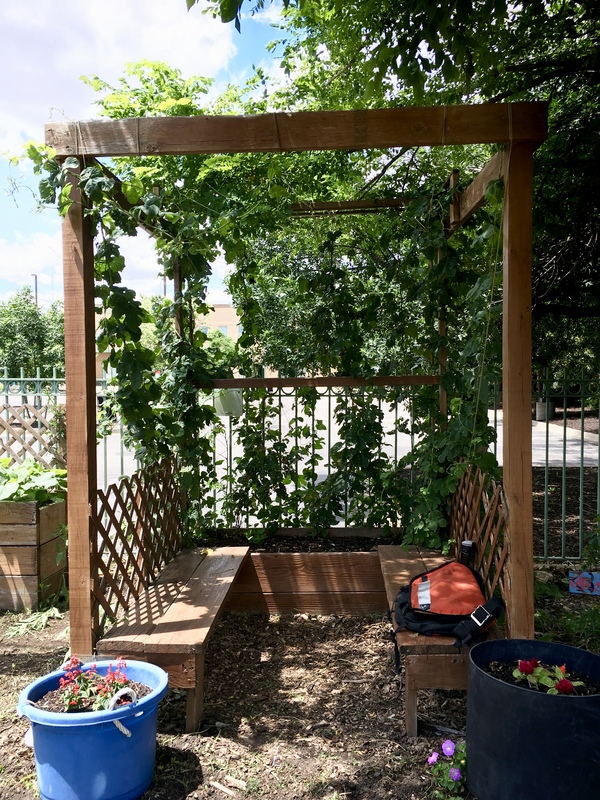 The social connections and sense of community forged within this garden alleviates social isolation and therefore may improve the mental health of resident gardeners. 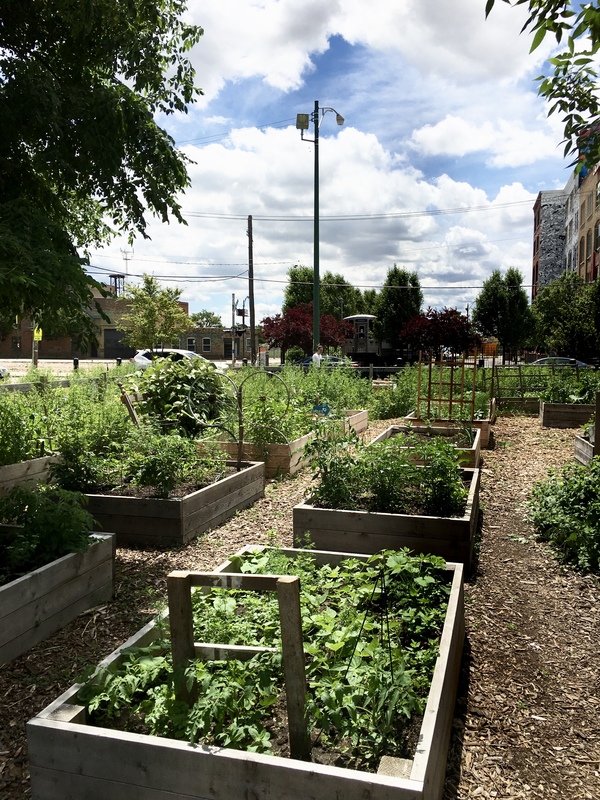 Furthermore, many older Mexican gardeners have a farming background, and this garden provides an outlet for them within the urban concrete jungle of Chicago. From our initial fieldwork at El Paseo, we found the intergenerational sharing of knowledge/heritage and alternative forms of healthcare through herbal remedies and fresh produce to be important and recurring themes. 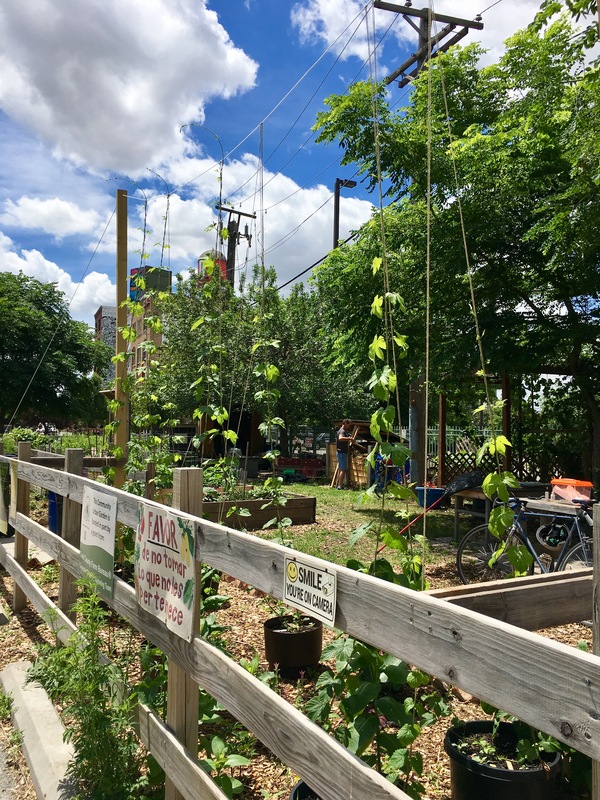 In a community where gentrification is rapidly occurring, placemaking is especially important for community spaces like El Paseo Community Garden. 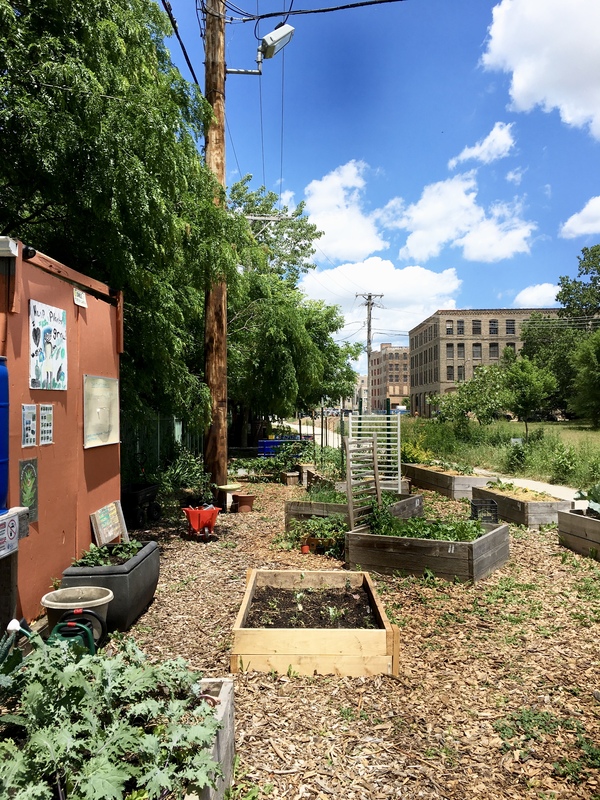 El Paseo is working in a number of different ways to bring the different (and often clashing) groups within Pilsen together through its community building events like weekly yoga and boxing, potlucks, and volunteer days. 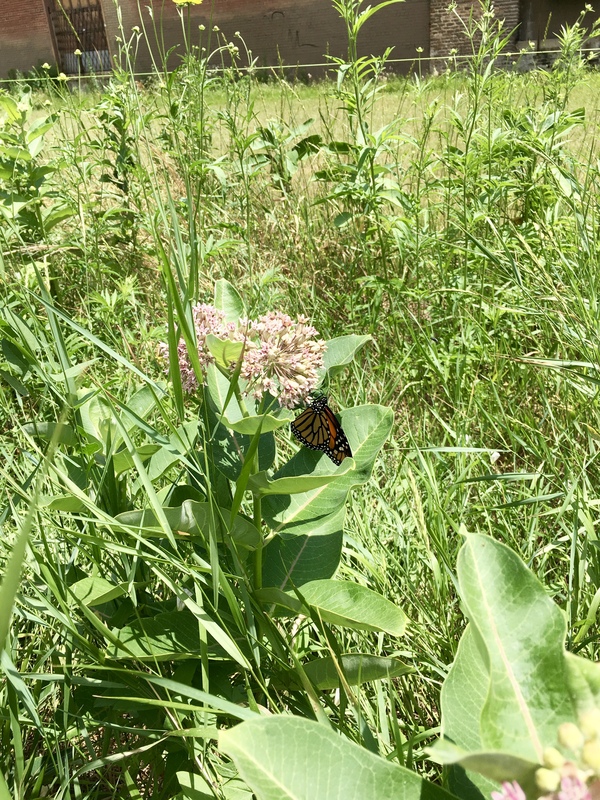 At these events, gardeners as well as other community members are welcomed to the garden and encouraged to foster relationships with their neighbors. In an interview, one man told us that he thinks the garden is a very welcoming place. He said he often sees people who aren’t members of the garden eating their lunch under the hops trellises or simply walking through. He views the space as “a slice of green for people living in a concrete jungle” and expressed that it is a space for everyone, not simply reserved for people who are members. We have heard similar sentiments echoed by others, as well. Another important way that El Paseo is attempting to carve a space for itself in the community is through its mural project. 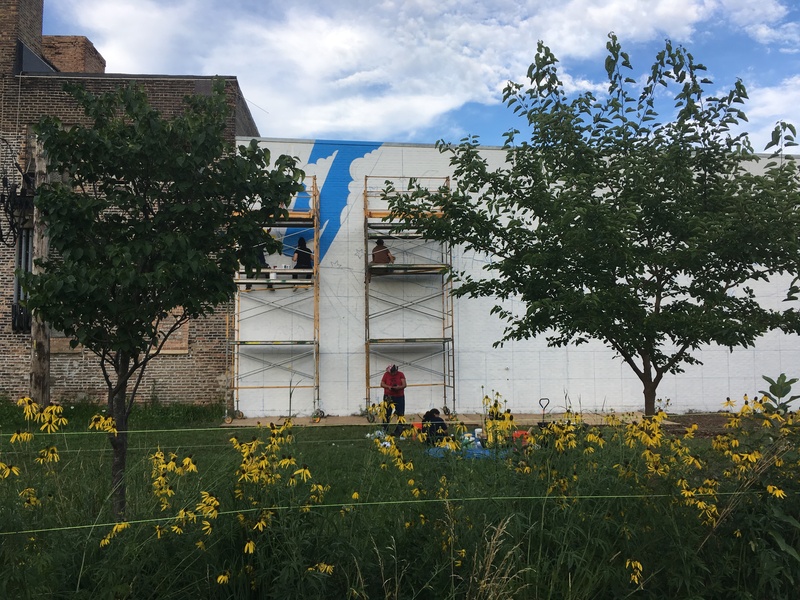 In the summer of 2017, El Paseo made plans to paint a mural on a wall that borders the garden as a way of beautifying the space as well as with the intent to revive the neighborhood’s Latinx culture (for more information, check out this article from the Chicago Tribune). The mural is expected to be one of the largest in Pilsen and will feature a set of open arms, which serve to welcome the community to the garden, roots to reference the environmental struggles Pilsen has endured, and several other natural elements, such as the monarch butterfly, to represent immigration and other factors that form the foundation of Pilsen’s identity. El Paseo worked closely with members of the community to come up with the ideas for the mural — community engagement was an important part of the process to ensure the mural will represent the many different people who live in Pilsen. They plan to complete the mural in three parts, one section each summer for the next three years. Their hope is that this mural will more solidly tie El Paseo to the community and help the community embrace the changing demographics of the neighborhood.